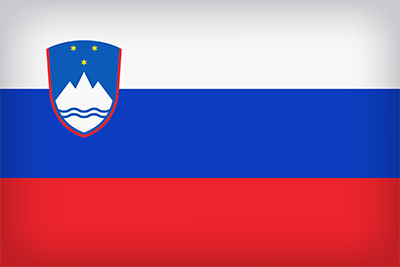 Slovenia lies in the heart of Europe, at the crossroads of the Alps, the Mediterranean and the Pannonian Plain. Within an area of 20,273 km2, this country is known for its mountains, ski resorts and lakes. In the centre of the country is Ljubljana - the capital, with population of 280,000 inhibitions what is more than 13 percent of the whole population (2,055,000) in Slovenia. The weather in Slovenia is different in each of the four seasons. A harsh Alpine climate prevails in the mountain region, the coastal areas are marked by a sub-Mediterranean climate, and the north-east lowland part of the country has a continental climate. The average temperature is above 20°C in July and around 0°C in January. Slovenia is the third most forest-covered country in Europe, since as much as 60 percent of its territory is covered with forests. And there are only a few countries in the world that are so green. Over a third of the country's territory is protected within the European network of Natura2000 protected areas, while other valuable areas have been proclaimed natural parks and reserves. The largest protected area in the country is the Triglav National Park.